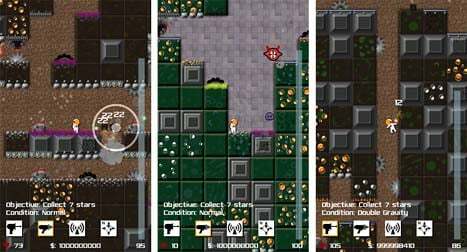 Occasional Gamer has released its 15th Windows Phone game, Paradox Exit. The story line goes that you play the role of Toby who becomes a little too curious about that big red button marked "Do Not Press". Curiosity gets the best of Toby and when he presses the button he is transported to a maze of boxes drifting in space. Within the series of boxes you will find warp gates that Toby hopes will eventually send him home. The game features over fifty monsters and flying creature to battle. As you defeat the monsters and destroy boxes, you can earn cash to purchase upgrades for your attributes and equipment. Movement around the maze of boxes is done by tapping/holding the screen to pull up a virtual joystick. At the bottom of the game screen you have your vital statistics (health and cash), your weapons and a map of the current level of boxes. You have a jet pack that lets you move vertical but it has limited energy that requires a little down time to replenish. Your progress within Paradox Exit is saved as you exit allowing you to pick things up where you left them. In the short time I've spent playing Paradox Exit I found it to be a challenging, entertaining, somewhat addictive game. Elbert Perez, the developer behind Occasional Gamer, said this was his most ambitious game to date and his efforts have definitely paid off. Paradox Exit is a free, ad supported game. 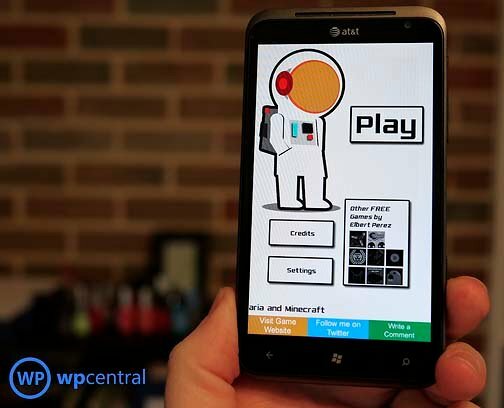 You can find it here at the Windows Phone Marketplace and after the break catch a video demo of the game.